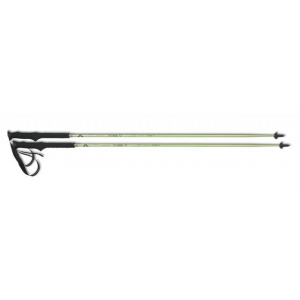 The Tubbs 2-Part Adjustable Snowshoe Poles are lightweight, sturdy accessories for snowshoeing, helping with balance and increasing the aerobic workout. They're valuable for probing uncertain terrain as well. 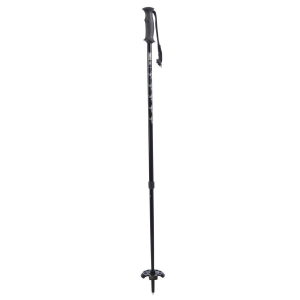 I received the Tubbs 2-Part Adjustable Snowshoe Poles as a free gift with my purchase of Louis Garneau Blizzard II snowshoes from Campsaver. 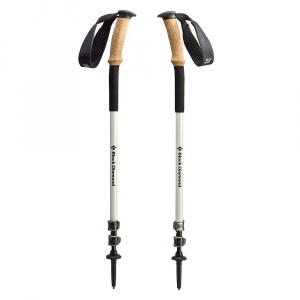 I have to admit that I wasn't expecting much after a few experiences with poles from other snowshoe manufacturers, but I was pleasantly surprised by these. Not the best shot, but the graphics aren't really important. 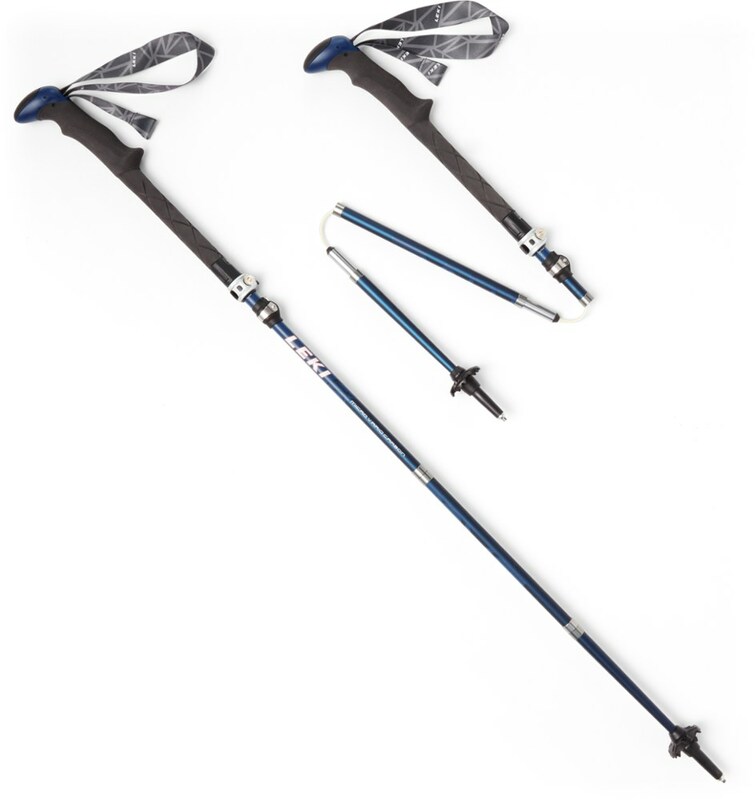 The poles are 30.5" fully collapsed, which is 7.5" shorter than my 4- or 5-year old (natural aluminum) Black Diamond Synclines. Max length is 130cm/51", which is long enough for me on level or rolling terrain but not enough for steep descents. Weight is 19oz per pair (according to campmor.com), which is only 1oz heavier than what Black Diamond says Synclines weigh. 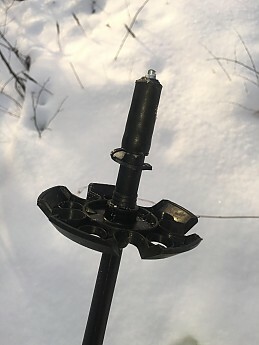 As I mentioned in the "pros," the locking mechanisms are sturdy, and I haven't had them loosen or shorten on me in the week that I've been using them. 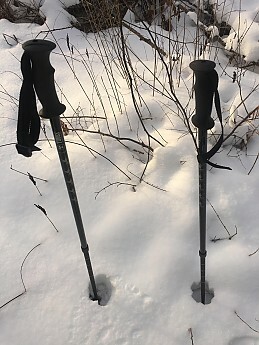 Now, to be honest I haven't been very hard on them; I haven't been jamming them deep into frozen ground for traction or jabbing as hard as I can into ice to check the thickness. But a moderate twist tightens them enough that leaning on them with as much weight as I can didn't collapse them. The handgrips are ergonomically contoured and fill my hands very well—much better than my new (orange) Synclines do. 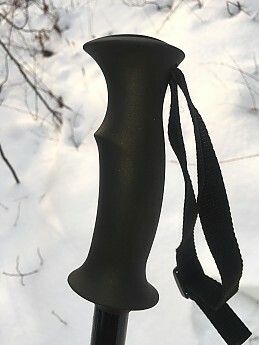 The wrist straps are a little disappointing, being made of a "slippery" nylon that doesn't really grab the buckle very well and thus loosens up a few times on a hike. It's also just nylon, with none of the padding or soft facing to prevent chafing like my Synclines have. Fingerless gloves might be a good idea if using these as 3-season trekking poles. I may end up installing a pair of straps from BD instead. The tips are carbon steel, and come with protective caps that have small holes that allow about 1/16" of tip to protrude. I've somewhat enlarged those holes during use. 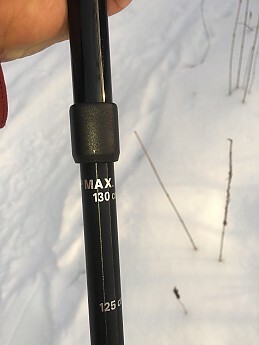 The snow baskets allow you to snap each pole into a slot on the other basket and use the included clip near the handgrips to store or carry the poles. 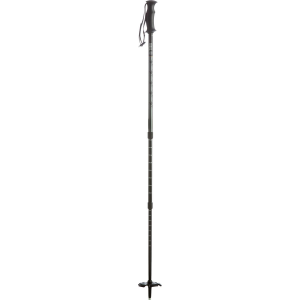 All in all I'm very satisfied with these poles, satisfied enough that I'd give them as gifts or buy a pair as spares...if I didn't already have two spare pairs. I recommend them for mild to moderate use. Thanks for the good review, Phil.